Today, we talk corporate gift giving best practices to keep you on the right track this holiday season. Keep reading! Whether you’re in charge of choosing the company gift or just looking for a way to thank your team, corporate gift giving is tricky territory. What’s appropriate? How much do I spend? What do my coworkers expect? Is this weird? In many industries, gift giving is governed by a very specific set of compliance laws. Yes, you read that right—giving the wrong gift to the wrong person can land you in hot water. These laws dictate what types of gifts are appropriate and what types aren’t. As always, if you’re not sure whether your gift is compliant—ask a compliance officer or HR representative before going through with the purchase. 2. Buying for people outside your company. 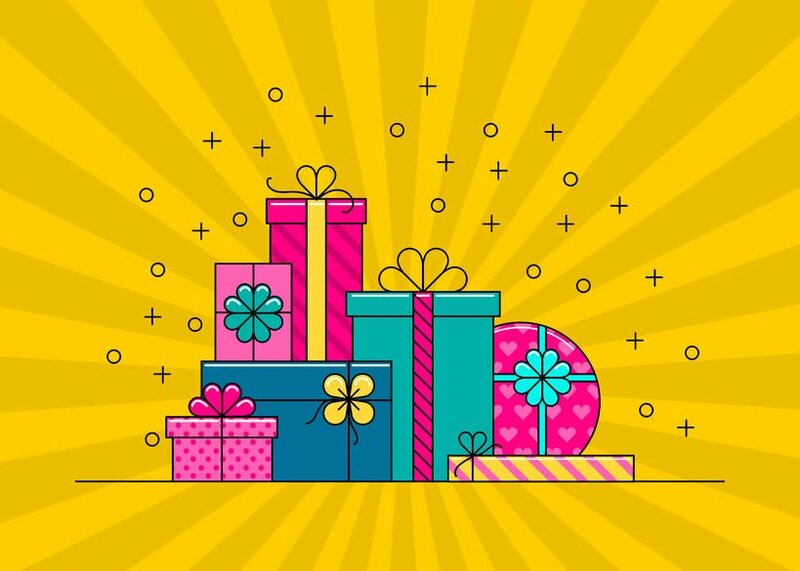 Typically, when it comes to buying gifts for people outside your company, it’s appropriate to buy for clients, prospects, service providers, and business partners. In fact, gift giving can be an excellent relationship building tool and can even generate more business for your company. In this instance, the recipient of the gift isn’t as important. Rather, it’s the nature of the gift that can trip you up. Play it safe and select something relatively small. Be sure the gift and any additional messaging are holiday-neutral. If you’re not sure what to gift, consider sending a small branded gift. Read: small, not cheap! A branded gift is a great way to show your appreciation in a way that can’t be misconstrued as inappropriate. 3. Buying for people within your company. Buying for employees or coworkers is a little more difficult. To start—if you’re in charge of selecting a company-wide holiday gift, select something genuinely useful that your employees will appreciate. It’s safest to buy the same gift for all employees, regardless of their role. But, if you’d like to switch it up, be sure you’re operating under the guidance of a documented gifting strategy. Some companies choose to buy bigger gifts for employees who have been with the company longer—this is fine! Just be sure the value and nature of the gifts are consistent. Before purchasing your gifts, take a step back and consider whether your picks seem fair. If not, go back to the drawing board. If you’re not buying for the entire company and want to purchase gifts for your team or coworkers, there are a few important factors to consider. Generally, if you’re buying for just one person and it’s not your boss, you should give the person the gift on your own personal time. If you don’t see this person outside of work, that’s a good indication you shouldn’t be buying them a gift. But, if you are buying for your boss or a superior, a small card or token of your appreciation is generally acceptable. If you’re buying for your team, just be sure that your gifts are of the same nature and value. This goes without saying, but also be sure you don’t leave anyone out. If you’re buying for a few team members, it would be inappropriate not to buy for the entire team. Before giving a holiday gift, ask yourself: is this going to make the recipient uncomfortable? Will this gift make other employees uncomfortable? Is this gift workplace appropriate? Will this be seen as favoritism, bribery, or anything else unsavory? If you have any doubts, it may be best to skip the gift giving. Buying a gift that’s too extravagant can send the wrong message—no matter who you’re giving it to. To a customer, prospect, or partner it can look like you’re trying to buy their business or influence them in some way. Giving an extravagant gift to an employee or co-worker can seem like favoritism or even make the other person feel indebted to you. Keep your gifts small and practical to avoid a corporate gift giving snafu. 5. Consult the company handbook. One final piece of advice—when in doubt, consult your company handbook. If you don’t have access to one or your company’s handbook doesn’t discuss gift giving, take your question straight to HR. After all, that’s what they’re there for! Your HR team would much prefer to answer your questions and prevent trouble rather than handling an issue after it’s already occurred. Although gift giving is often done with nothing but good intentions, it’s still important to cover your bases. A small token intended to spread holiday cheer can quickly turn into an issue of favoritism, ethics violations, or workplace tension. Don’t let this dampen your holiday spirit! It’s relatively easy to be smart about your gift giving. And, the practice can actually improve employee morale, reduce employee turnover, and even increase productivity! To wrap this up, we want to commend you for your holiday spirit and generosity. Small gifts are an excellent way to show employees, clients, partners, and coworkers how much you appreciate them—as long as you go about it correctly.